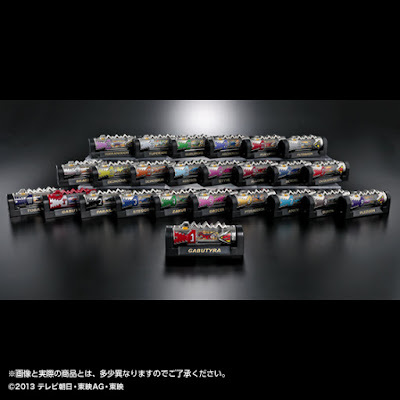 The Premium Bandai website has released the official images for their Diecast Zyudenchi Set from the super sentai series, Zyuden Sentai Kyoryuger. 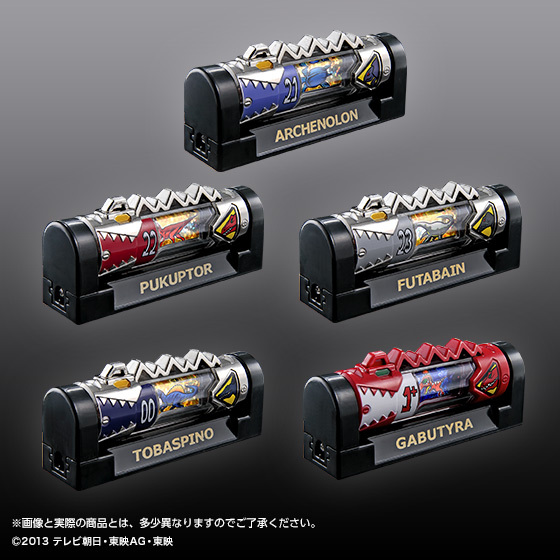 Slated for a September 2016 release for the price of 15,000 yen, this metallic version of the Zyudenchi (Beast Batteries) are meant for display only and will not be compatible with the Kyoryuger toy series. The set will contain all 23 main batteries and will also include Tobaspino and the +1 Mini-Tyra battery. 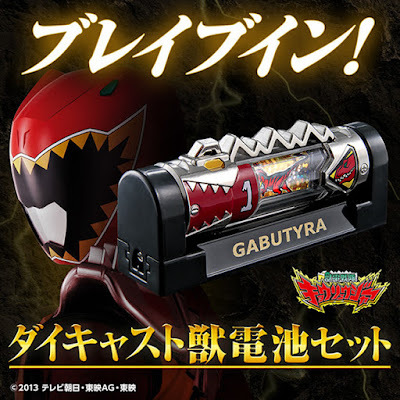 But, if it's not compatible with any toys what is the point? The point of Die cas in a toy is to give it weight and a feeling of structural security as you play with it. So just having die cast batteries that stay on a shelf makes no sense from that stand point. Even on a collector level it doesn't really make sense. 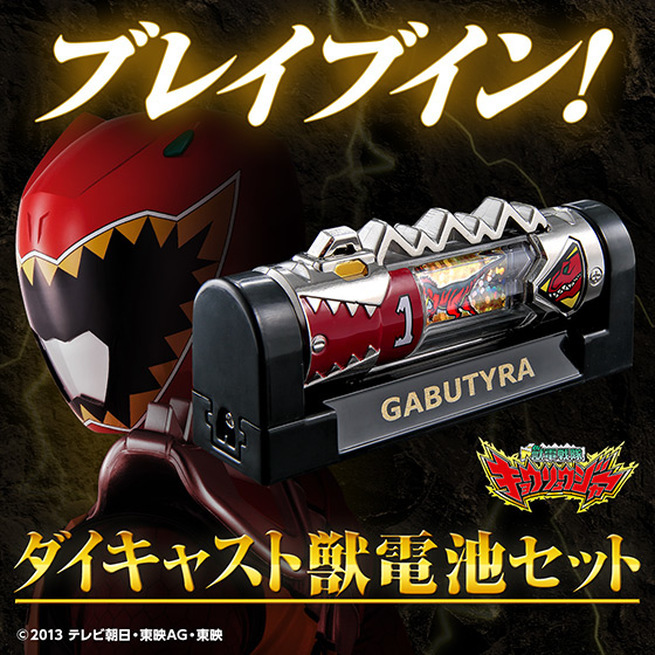 It's just a more shiny version of toys toy already have if you liked kyoryuge r enough to buy all the batteries already. Hell if you don't have any of the batteries you could buy the full zyudenchi set they sold towards the end of the show and that comes with two batteries this set doesn't. But... Kyoryuger was 3 years ago... Are we gonna get die cast versions of all the resshas soon, then? Kyoryuger had massive sales, even more than Gokaiger.